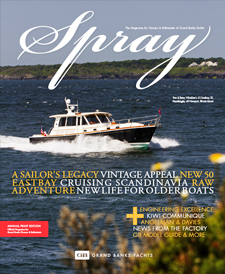 Want a copy of the GB magazine - SPRAY? You can download any copy back to the 1970's from the site. It also has links to the various GB Owners groups and upcoming GB Rendezvous worldwide. These colleagues have been great sponsors of the CBGBOA organization for years. NOOA On-Line Tide and Water Information where you can get tides, high water levels, for any US location. Traveling anywhere on the water? For the latest on conditions go to Active Captain. Check out PropTalk and read about powerboating on the Chesapeake.